Two institutions that between them total 594 years stand across the street from each other in Flatbush. 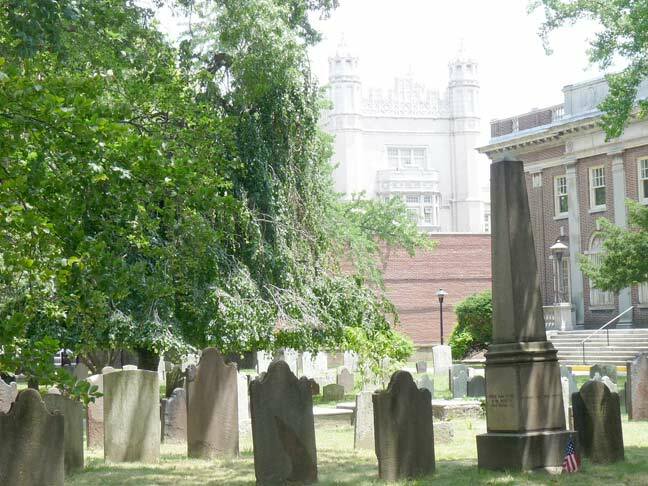 The Flatbush Reformed Church was founded in 1654, its current church building was constructed beginning in 1796, and the oldest stone in its cemetery goes back to 1754. Erasmus Hall, meanwhile, was founded in 1786, with its present castellated structure, completed in 1906, surrounding its original 18th-Century school building. In this photo, Erasmus Hall lords it over the cemetery like a Medieval-era fortified tower. One can only imagine what the neighborhood must have looked like when the church was built. Just like it does now; except, more trees, a lot less, if any, buildings, no streets to speak of, no 99 cent stores and no cars. Not to mention cheaper rents. I also went to Erasmus Hall, graduated in 1946. Another great theater was the Lowes King on Flatbush Avenue. Loved my years there too. In the late 1600s, Flatbush contained a large farm owned by Jan Barentsen Blom (1644-1703), an ethnic Swede naturalized into New Netherlands. By 1690 he’d sworn allegiance to James II of England after the British takeover in 1664. 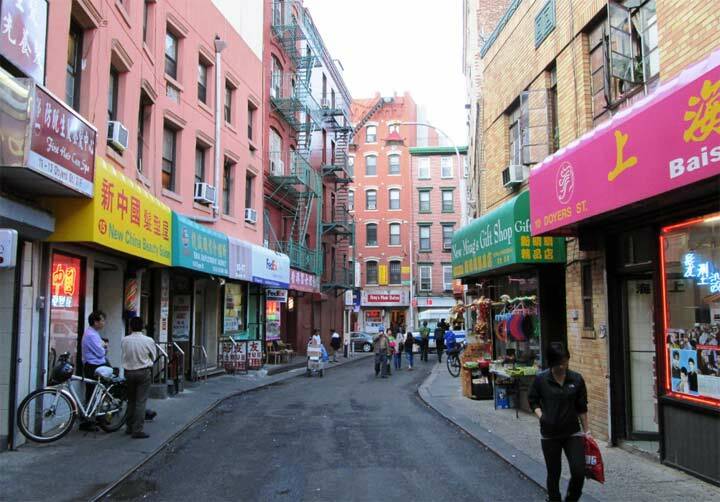 It is likely that Blom was the first European resident of Flatbush area. Unfortunately his gravesite is unknown, died too early to be found in the lovely graveyard pictured above. Blom’s Swedish-born father, Barent Jansen Blom (1611-1665) was land overseer to New Netherlands Director Wouter Van Twiller who owned (among other lands) Ward and Randall’s Islands (off Manhattan), where Blom lived and farmed intitially. The islands were originally named for him as Great and Little Barent Islands. Blom later acquired his own farm on Long Island between current-day Manhattan & Williamsburg bridges, a fertile area of Wallabout Bay. Despite having survived the unimaginable hardships of his times, Barent was killed by his neighbor in 1665. Though most of his family lived to their natural deaths, his daughter/Jan’s sister Engeltje was killed by French & native troops in the Schenectady Massacre of 1690.
looking for Abigail Prosser, died 1782, cemetery is overgrown and no longer in use. I found it on line but lost it do to computer crash. Its locate close to a interstate , road must have been there in 1780.Would appreciate help.